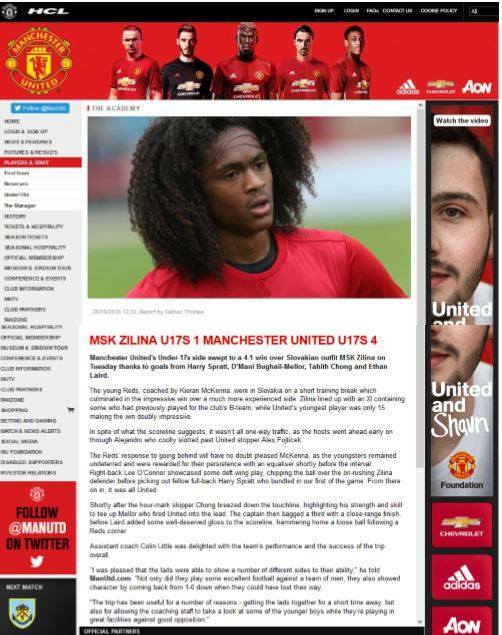 Heroes of British soccer have revealed one of the best-kept secrets of Slovakia … for the last eight years Manchester United has been sending its young hopefuls there to a specialist mountainside training camp. Every October Manchester United’s Youth Team spends time in the city of Poprad training at one of the world’s most exciting stadiums, playing ‘friendlies’ against locals and recuperating in the world’s greenest hotel. Poprad is an extraordinary place, tacked to the foot of the High Tatras mountains and near to the Polish border. Thirty years ago though it had daunting metaphorical mountains to climb having been abandoned to the remnants of the Velvet Revolution politics. But people of vision were already making things happen and now Poprad is one of the most important cities in Slovakia. It has become the administrative, economic, cultural and tourism centre for the whole Tatras region. And at its heart stands AquaCity, once voted the world’s greenest hotel … and this is where Manchester United hopefuls stay while they undergo training regimes against one of the most powerful natural backdrops in Europe. 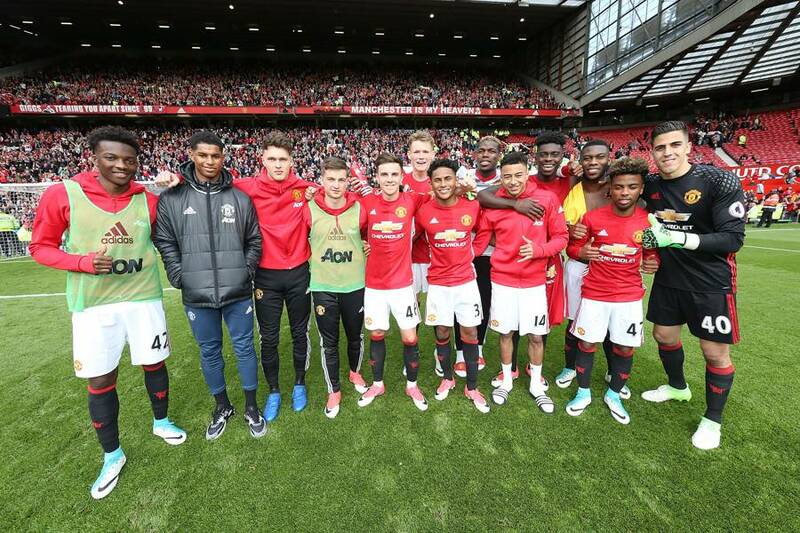 And last week it all paid off in a big way – youth team players who trained in Poprad were chosen to play against Crystal Palace when Jose Mourinho rotated his squad ahead of the Europa League final.. Manchester United won the game 2-0, with Josh Harrop and Paul Pogba scoring the goals. The story really begins with former car worker Dr Jan Telensky, his geo-thermal lake 2,000 metres inside the earth – and his belief in cryogenics. Three little minutes that can change your life. He said: “When I first came to Poprad, I saw a pipe coming up out of the ground. It had breath hot enough to melt your soul. So, I looked into the history of it and pretty soon I realised there was a natural miracle two miles below the earth. An eternal source of power, warmth and health. It’s been there for millions of years and it’ll be there for millions more. 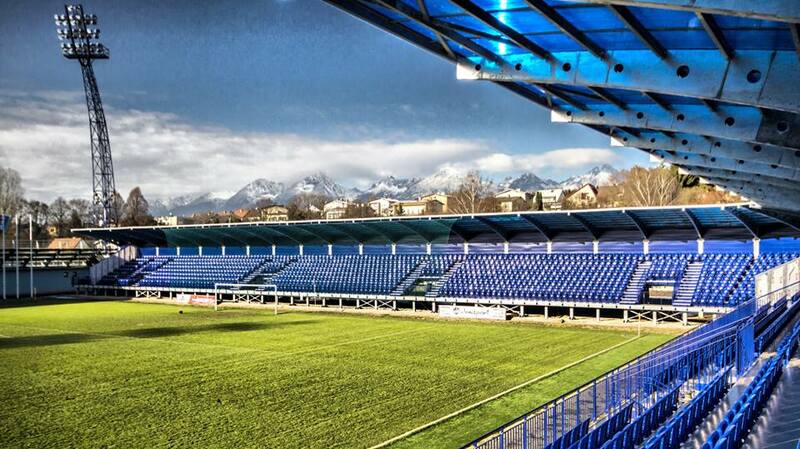 Next door to AquaCity is a magnificent new football stadium, designated as a Slovak National Training Centre (NTC). It is the only ground in the world to be heated by an underground lake and have an all-weather pitch. The NTC is where you can watch the Manchester United football’s stars of tomorrow train and play some of Slovakia’s Premier League and other overseas teams for a fraction of the price it would cost at Old Trafford. There is a Hall of Fame board inside AquaCity with a list of the stars who have played there. And AquaCity offers all sorts of fitness and enjoyment, not only for professional sportsmen but for families too with pools, massage jets, children’s pools and water slides, laser lights to change the color of the water, outdoor thermal pools, blue Sapphire pools, blue diamond pools, and a 50 metre swimming pool. In the wellness and spa suites there is Vital World, the K-Vital Beauty Centre, the Massage Centre, and the Thai Massage Centre with edible massage treatments such as chocolate, honey and green apples. Then there is the controversial cryogenics chamber which has been helping sports people and visitors with injuries and ailments. It is the Big Chill, an oversized deep-freeze which makes you feel wonderful. It works wonders for the skin and muscles, can boost your immune response, ease chronic pain, heal nerve damage, and improve sporting performance. And Poprad too really is a beautiful place to be, sitting as it does on a vast plain leading to the foothills of the perpetually snow-capped Tatras Mountains. It came into being in the 13th century, when the king of Hungary persuaded German colonists to move to what was nothing more than isolated arable land. Way back then Poprad was just one of more than 20 farming communities dotted across the plains. It soon garnered importance however, as a main stopping-off point on the trade route between Poland and Hungary. Another ‘revolution’ took place in 1938 when a military airfield with grass for a runway was built west of Velko village as World War II loomed. The first real runway wasn’t actually built until 1970. Poprad Tatry Airport finally came into its own in the early 21st century when it was classed as of International standards. The 13th century Early Gothic church of St. Egidius in the town square still retains pieces of wall paintings dating from the Middle Ages. And then of course there is the Renaissance bell tower built in 1592 with its three original bells. 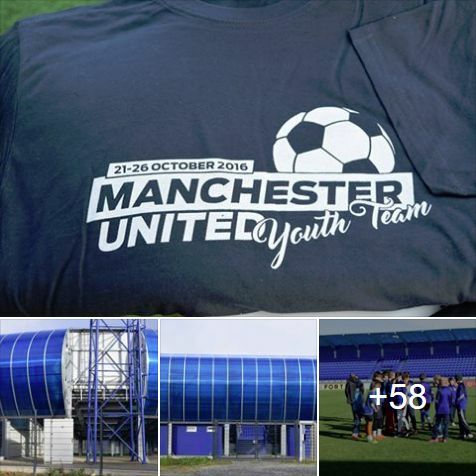 The 2016 Manchester United Youth tour to Poprad, Slovakia, sponsored by Dr Jan Telensky, Project Manager – Major (Rttr) Terry Butterworth, Host – the Team of Aquacity. The Future Homes Commission has set out plans to fund a three-fold increase in the number of new homes being built every year, paving the way for new jobs in the trades. The Commission, set up by the Royal Institute of British Architects, has called on Government to use council pension pots to fund a massive housing programme that could see the building of 300,000 homes a year and boost the construction industry. The Homes Commission argues for the creation of a new £10 billion Local Housing Development Fund, financed by the largest Local Authority pension funds, that would use 15% of their assets to invest in new rental and shared ownership housing. 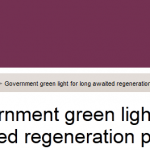 The new scheme would play a lead role for the government to use localassets to lead the creation of sustainable communities and meet local housing needs as well as create thousands of jobs in the building construction industry. A similar approach to that proposed is being pioneered by Manchester City Council, which is working with the Greater Manchester Pension Fund to build 244 homes. The city council will release land into the joint venture at fair market valuation and GMPF will inject £25 million to pay for building work. Both partners will then receive a capital payment on the sale of houses and an annual revenue return. Morgan Sindall has won a £15.9 million contract to construct Network Rail’s Operating Centre in Manchester which will create new jobs and boost the trades. The development will see around 110 people working on site at the peak of construction, including a number of specialist contractors. The Operating Centre in Gorton, Southeast Manchester, will provide a base from which all of Network Rail’s operations in the region will be run and will accommodate its personnel and control equipment. The three-storey, steel-framed building is designed to achieve a BREEAM Very Good rating and is due to be completed by December 2013. The building is a composite structure and includes a variety of specialist design and construction methods and techniques. These include the use of laminated, strengthened glass panels and curtain wall cladding. A key feature of the building will be its attractive and sustainable ‘green roof’, which will be planted with sedum vegetation to absorb rainwater and provide insulation. The building is also highly insulated to avoid energy wastage. James Morgan, area director at Morgan Sindall, said: “We are delighted to have won this significant contract which is a testament to the combined expertise of our Rail and Construction teams.